India’s largest Mobile Service operator Airtel today launched its 3G Mobile and Data services in Jaipur (Rajasthan telecom circle). The telecos also said that it will launch the 3G services in more than 40 cities across all 13 circles in next few days. After Bangalore (Karnataka), Chennai and Coimbatore (Tamilnadu) Rajasthan is the 3rd circle which get Airtel 3G services. Mr.Atul Bindal, President – Mobile Services, Bharti airtel announced this by making the first airtel 3G call in the state to HRH Princess Diya Kumari of Jaipur. 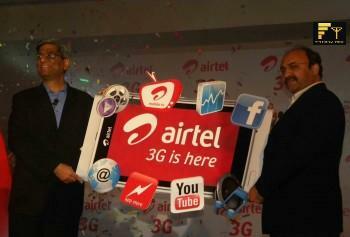 Following this, airtel 3G services will be rolled out across all major cities in Rajasthan in weeks to come. 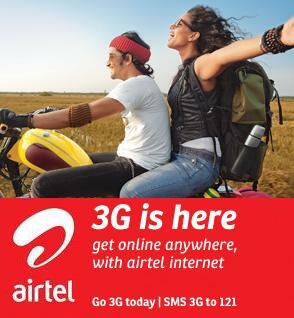 To activate the 3G service on Airtel Mobile subscribers need to send a SMS 3G to 121. After sending the SMS the confirmation SMS will comes and 2G Data Plan will be de-activated in any. After the confirmation by subscriber 3G Data Plan “Pay As You Go” will be activated and all data access will be charged at 30p / 20kb. 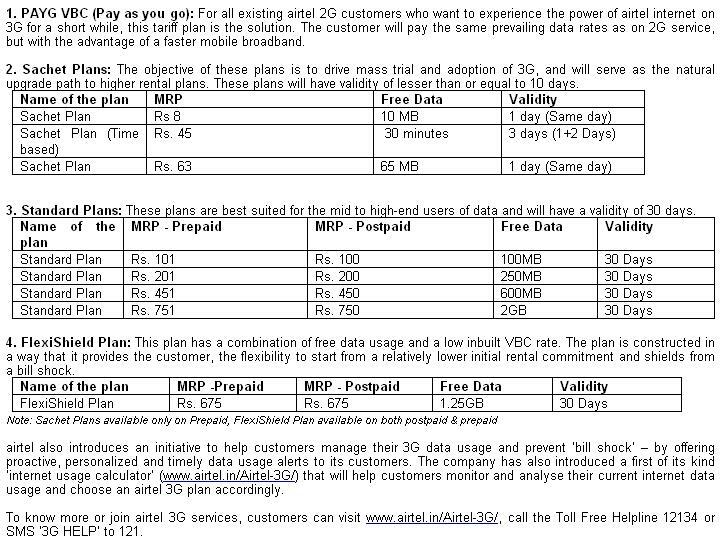 For convenience of prospective 3G Mobile and High Speed Data service users, there is no changes for Voice and SMS tariff and it will be charged as Airtel’s 2G GSM Plan and customer can clubbed any 3G data plans as their needs and suitability.The 3G local, STD and Roaming Video Call cost will be 5 paisa/sec (Rs.3/minute). @emad padne do. Last 1 saal se slve nahi kar paya. Ab kya karega….? Jitna lootna tha loot liya… Ab bandh bhi kiya to mera bap ka kya jata hai. Mera kaam to ho gaya.